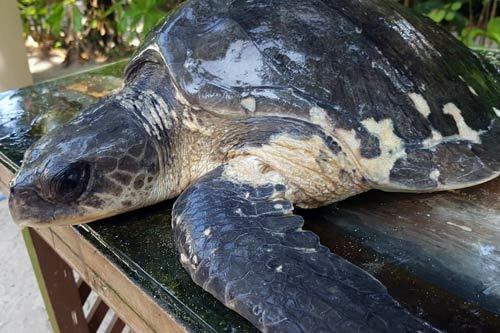 Moodhu Vina is a juvenile olive ridley turtle and ghost net victim who was rescued along with another entangled turtle by a local boat crew in Laamu Atoll. The boat crew knew excately what to do and brought the injured turtles to our Sea Turtle Biologist at Six Senses Laamu. 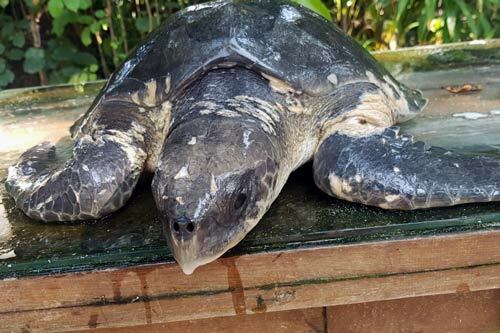 Following overnight care at Six Senses Laamu , both Moodhu Vina and the other rescued turtle, Big Mummy, was transported to our Turtle Rescue Centre for medical care. 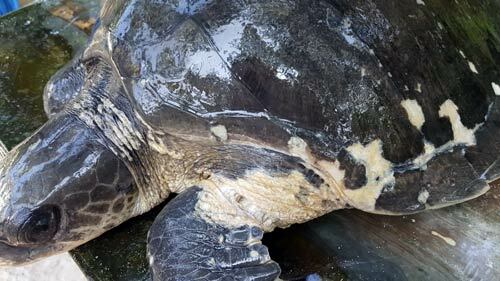 Moodhu Vina had several cuts and a skin infection. 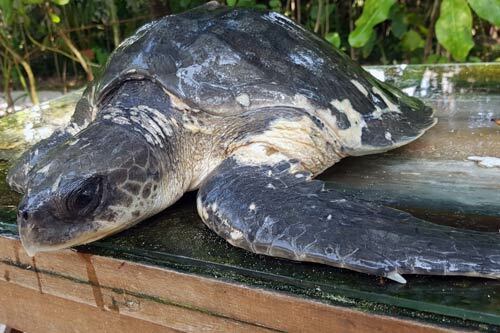 She/he was named “Moodhu vina” – Dhivehi for Seagrass – as he/she was found during the #ProtectMaldivesSeagrass campaign. Moodhu Vina has all four flippers intact and is recovering well. We are currently treating her wounds.